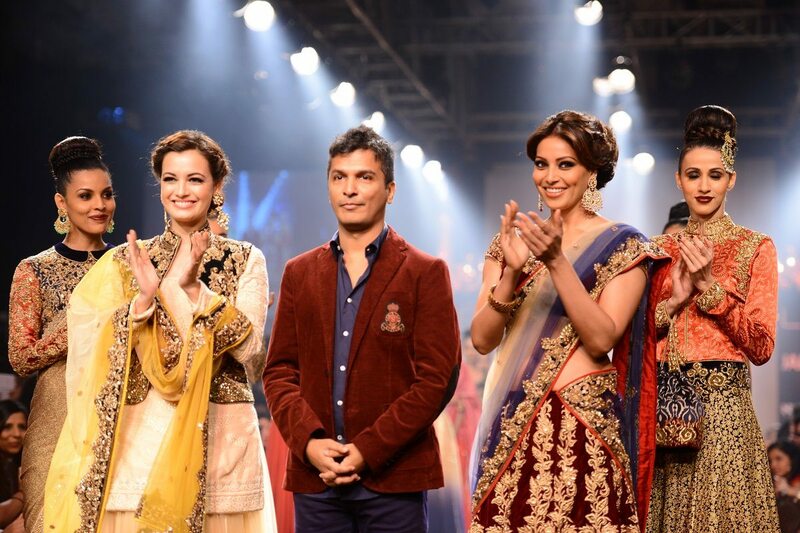 Bipasha Basu and Dia Mirza turn showstoppers for Vikram Phadnis at LFW 2014 grand finale. 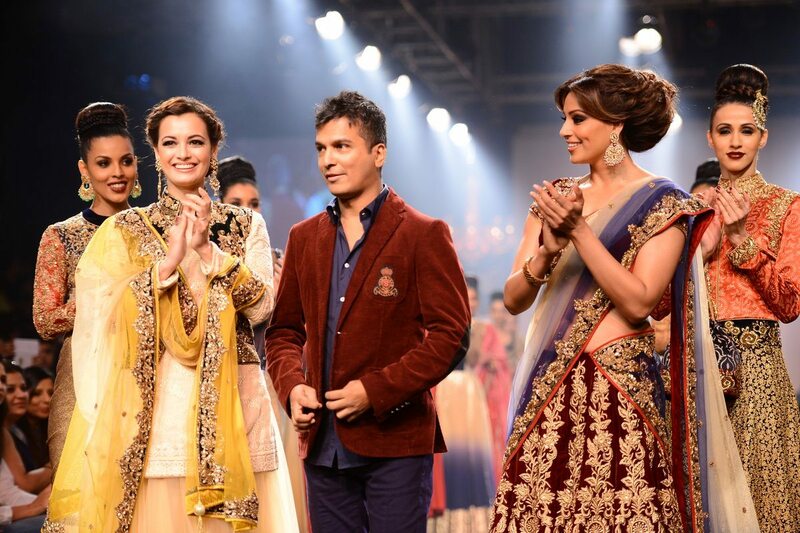 Coveted Indian designer Vikram Phadnis had dual showstoppers for his show at the grand finale of the Lakme Fashion Week Winter/Festive 2014 on August 24, 2014. 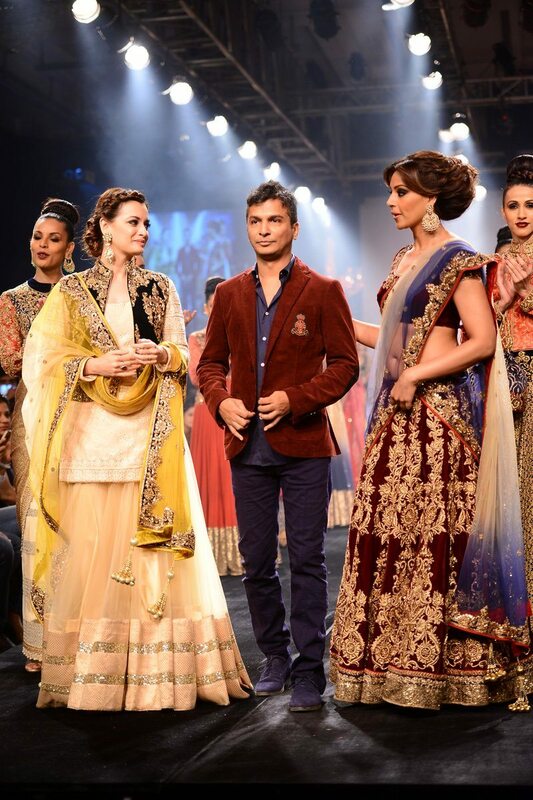 Bollywood divas Dia Mirza and Bipasha Basu walked the ramp in some breathtaking creations by Vikram. 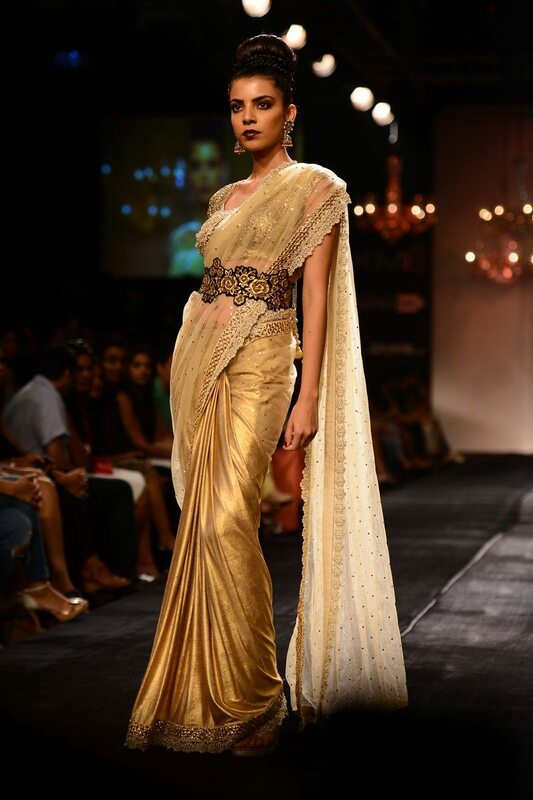 Phadnis’s sartorial masterpieces were dyed in earthy tones of gold, rust, maroon and bronze. 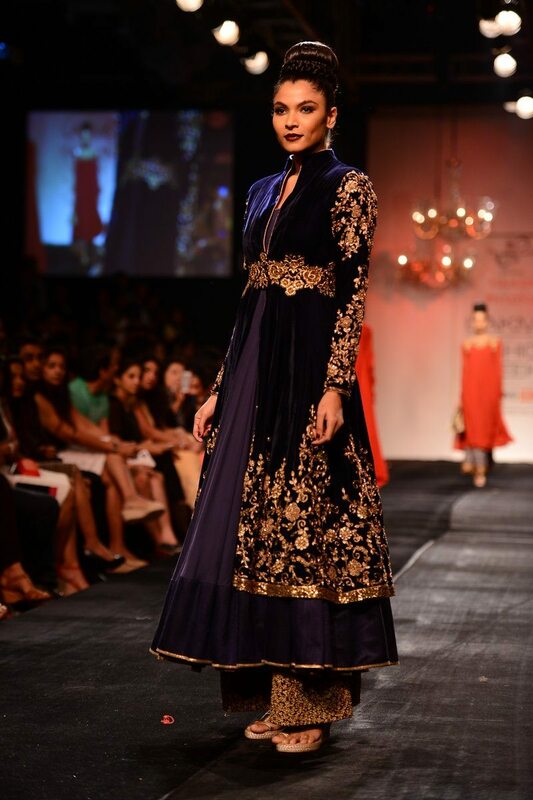 Lehengas, free flowing kurtas, churidars and palazzo pants were the style staples for the collection. 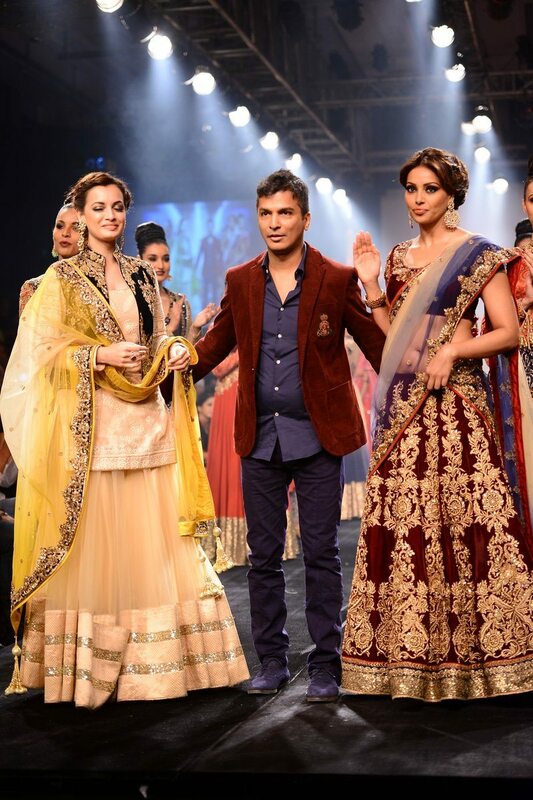 Dia looked stunning in a traditional cream lehenga with a golden border, ironically, the petite beauty who glowed in couturier Phadnis’ bridal ensemble on the ramp, will actually be tying the knot to long time business tycoon beau – Sahil Sangha this year. 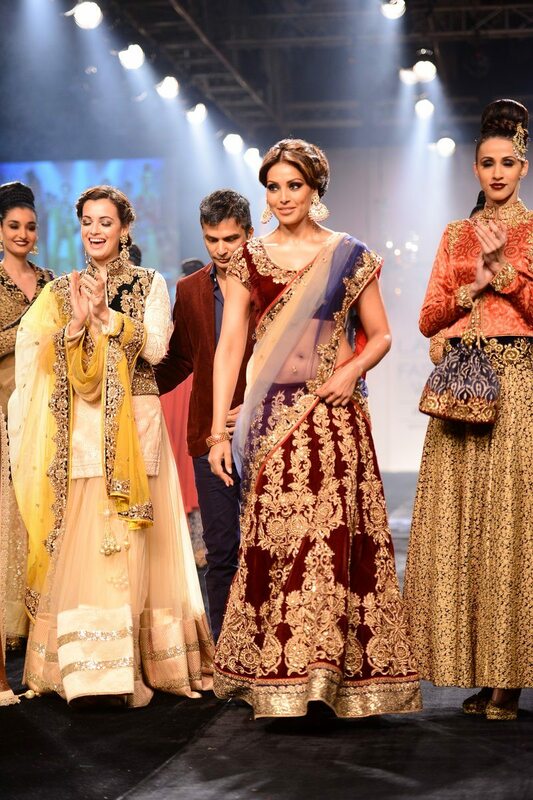 Bipasha too looked gorgeous in a heavily embroidered earthy red lehenga.